This was my second obstacle race after Xwarrior in Delhi, completely loved it. The different obstacles were really tough and getting muddy was really fun. Devils Circuit did it first time in NCR, their first event was in Chandigarh. You have never lived your life until you have lived it alone; those 24 hrs riding alone was my moment with self. After contemplating joining several events out of NCR, finally decided to get onto Desert 500. List of other rides planned but didn’t execute; MTB Himachal, TFN, MTB Race Shimla and many more. Having attended one ride out NCR (Team 3 Dhanaulti) ride had made me crave for more. After speculations and budgeting challenges, finally enrolled in Desert 500 event on Sep 21st. The registration means that you have committed to the ride and there is no running away, that’s how I commit! The training plan listed by Desert 500 was quite comprehensive and very detailed, unfortunately I couldn’t follow but I am going do that for all my upcoming rides. My training for Desert 500 was adhoc in nature, nothing planned but whatever I did was disciplined. 1. Alternate day 30-40kms (around 8-9 AM) km ride on GFR, the important aspect was consistency. No break within the ride team and consistent speed, additional push on all uphills. 3. Twice in a weekly weight training with dumble’s, could do only for a week and avoided in last week before the event. The training is not good enough to be discussed and probably not the best but it worked for me, certainly need to do more. The ride was to start from 28th 10 A.M and expected to be finished in 24hrs as per the challenge, the max time allowed was 33 Hrs from start time. Cleary I had never planned to finish in 24hrs, my last longest ride was of 400Km in 26 Hrs, however, it did had an element of 2.5hrs of break at TS1. In spite of doing all mathematical calculation, the 24hrs challenge looked like a herculean task. Ashish decided to give me company on the Desert 500 ride, we had two training together for the event. On Nov 24rd, we went for 100km ride but we have be content with 7Okm because of flats. On Nov 25th, we decided to participate in 200km; the decision was taken on 23rd simply based on an idea of riding. We definitely ignore the right practice of not doing long ride before any big event but we decided to, no reasons at all. On the brevet ride expert riders did recommend not to continue and somewhere I too felt, it wasn’t recommended. Anyway, we went with the ride and completed it in 10 Hrs, very easy paced ride with Ashish. As a matter of fact, both of us had a fall on Brevet ride. I was hurt on knee and Ashish on face/shoulders. We had 2 days of rest and that included 12-14 hrs bus journey, still not sure if our Brevet ride was good decision or not. The organizer had provided free transportation service to Jodhpur and bike transportation on chargeable basis; hotel booking was also managed by organizer on our behalf. The biggest challenge with bike transportation was packing it up, I had never done and had no clue how to do it. Safe bet was taking it to bike store and get it packed, Krishna at Cyclofit did this job and briefly told me to assemble it. We were assured that mechanics would be available in Jodhpur, good enough reason to be relaxed. We boarded a packed bus around 10 PM from Delhi, it was a sleeper and Ashish was quick enough to grab 2 seats. It wasn’t a comfortable journey and neither bad, we managed to sail through. We reached Jodhpur around 12PM and were told that bus can’t go beyond because of no entry restriction. We eventually managed to grab a local taxi and reached our hotel. Around 3 PM we were informed that bikes are also stuck because of no entry zone and expected to be with us around 11 PM, this was a real problem which gave me a sweet trauma. We realized the bike wouldn’t reach us on time so we decided to go quick stroll near our hotel, it was 2-3 Km walk on busy road but still managed to gobble some Mawa Kachoree, Badaam Milk & Pyaz Kee Kachoree!!! We reached hotel around 9 PM and to our surprise we were informed about our bike arrivals, the organizers decided to ferry our bikes in local transport to hotel. It took not more than 30 to get our bike up and running, yahoo!!!!!!!! Day 3/4 – The ride day! The ride was expected to start at 10 A.M, 20 Kms away from our hotel. It was indeed early morning, we left hotel around 7:30 AM to start point, and the bikes were carried in another vehicle. Not too much action at the start point, we were welcome in traditional way. Gatorade, Water, Banana and Energy Bars were available at the venue; it took 15 min for us to get ready. With 30 min in hand, were just relaxing, suddenly I get SMS from work, client visit is cancelled and I don’t have rush through on Friday. Yes, after the ride I had to catch a train immediately, this just lifted my mood! The race director started his briefing and we went towards the start line, exact at 10:10 A.M the ride started. Started with an average speed of 27kmph and was feeling excellent, tried to hook up with 500Km riders but they were too fast for me. The group had riders like Shamim, Vishal and our very own Team 3; I couldn’t catch up with them. After 10k, the 250Km riders came from behind with some amazing speed and I/Ashish just dragged our self, the group was riding with an avg speed 30-32kmph but eventually lost them after 10-12 km. In total I had 15-20 Km with different groups. Although I got left out from the group but still managed to generate good speed, averaging anything between 27-30 kmph for first 50Km’s. I touched 100 km’s in around 3.5 hrs, this was my best performance so far and while maintaining this speed, I lost rider partner at 70km. At 125km, it was turning point for 250 KM riders, I was worried to see so many rider headed towards home and I still hadn’t crossed half way mark. This feeling can be worry any rookie rider. On this turning point, I had also got inners and jackets transported. Although the temperature was getting cold but cold enough to inners/jackets, this created a huge problem for me. How to carry them forward? . Anyway, managed to stuff the inner in hydration bag and rolled the jacket on front stem, this created more riding issues and kept on adjusting till I reached 250km. At around 160 KM, took a break at Army station (near Pokhran), the young army man had flurry of questions and I was more than happy to answer. I also asked him about the Pokhran blast site, it was 30km away on the highway, gave a grand salute to A B Vajpayee on his achievement. While I was there, saw Team 3 trio crossing, we waived at each other. WOW!! That was the moment, my legs felt fresh, I was excited as I was able to keep pace with these super riders, it filled a new sense of excitement in me, I was roaring to go. 200 got completed within 8 Hrs, so far my stoppages had only been at checkpoints but took an additional stoppage at “Lathee” to get my inners on, it was dark now. At Lathee, interacted with few locals and said “Ram Ram”, they were happy and too excited about my cycling challenge. It was getting dark and after crossing Pokhran I could see brazen lands all over, no villages in sight for kilometers but traffic was moving. It was important for me to touch 250KM asap to get a psychological boost, last 25 KM was done at super speed with big WAVE to Indian Army personnel present near Jaismler. Finally I reached the 500Km turning point (8:15 P.M), so far 6 riders had crossed and Team 3 trio were taking U turn from turning point, I am still in reach!!! Took a rest of 30 min, repackaged myself and thanks to coffee from Ritu, I was roaring to go again. First 10 Km was easy paced, silent ride along; I did meet Ashish on the way. After 10 km from turning start experiencing the real desert, well it wasn’t sand dune but barren enough land to scare. Imaging cycling alone at 10-11 P.M in night with no sight of human being for many kilometers and considering it was Lunar Eclipse; the barren was shining like hell but still pleasant. The next 10 Km’s had more adventure, lots of Shambhars and wild cats start crossing the road with good speed, I wasn’t scared but worried as they might hit me. Fortunately, nothing bad happened and probably the lonely rider was scaring them. My strategy so far was very simple; maintain a consistent speed and only teak 10 min break on each check point. The check were also placed strategically, every 40-45 KM’s till we reach 400 and then after 25 KM in last 100. This really helped me to continue the rhythm. While I was crossing Pokhran, saw Team 3 Trio resting on right hand side and Shamim/group resting at the left hand side. I wasn’t too excited about this because I knew they will cross me, I just had to maintain a consistent speed. Last 50Kms was getting difficult and I had also intentionally slowed down to conserve some energy. At 375km, met Mr Dhawan, the Race Director. He was happy with my performance and asked to get along with group as last 100km would get difficult. I wanted to but I could, would have not been catch up with few super riders. At this stage, it was more of mind game them body playing role of a rider. Cramp had taken over me, it was getting very difficult and I had plan for last 50 Km which is rough road. With 6.5 Hrs left, it deed look like achievable target but still lots of risks involved. What bike breaks down? What If get a flat? What if crap stops me completely? With all these worries, I went head. Team 3 riders again crossed me but not before I had quick coffee break with the group. Started picking up my speed but still couldn’t, I was almost dragging myself. While Jodhpur was 75km away, cramps started happening quickly and so my breaks. 1-2 min breaks after every 7-10 kms, this was derailing and killing my time. I just continued to drag myself and pull to get an average of 25km. With 3 Hrs in hand, I had to cross a tough 50km road. The road was really patchy and immensely difficult for any road bike rider. I was waiting for dawn and it continued to delay, after maybe 10 Kms finally had glimpses of sunrise, it started getting clear. Finally after sipping a RedBull at last checkpoint, I was headed towards the finish with a confidence I will finish with challenged limit. The mind was in agreement but body continued to question, Why I doing this?????? Finally at 9:10 I reached the finish point to get very very very warm welcome from super riders! A ride to remember for life! The day folded up with a quick nap at hotel followed up with a post race party, the excitement didn’t stop for me. I was lucky enough to be present and get Montra Bike as lucky draw from group of 500km participants. Wait, did I tell we made some great friends as well…..I couldn’t click everyone but certainly more friends to cherish! I was only 17 years old when I saw the persona of Rahul Dravid on TV Screen and I recall, it was his debut match and he was playing along with Vinod Rathore. They both looked amazing on screen, young and ready to fire. That image is still engrossed in my memory and will never fade away. 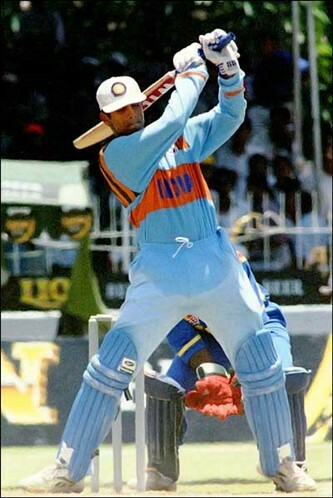 3 April 1996: ODI debut versus Sri Lanka at The Padang, Singapore. He scored three runs. For me Rahul is just not an inspirational but godly figure, when I look at him I see peace within and everywhere, that’s what the persona of Rahul Dravid is. He reflects the true Indian which is lost somewhere. Resilient, Talented, Down to Earth, Brilliance, Charismatic, flamboyant yet humble! Salute to the master of masters! He may not be aggressive and flamboyant enough to get everyone’s attention but every time he came to bat, you can be rest assured we may not win but we will make it difficult for opponent to win. He never got enough applauds or media glare in comparison to super stars but for me, I see my idle in him. 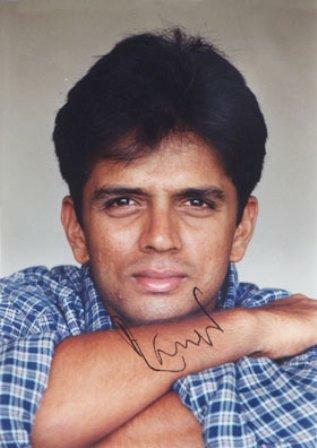 When you grow up looking like at people like Rahul Dravid, you are bound to develop something within you, which becomes part of your icons characteristic, which I see within me. I don’t have enough words or linguistically capable enough to write about him, have capture some quotes from excellent writers/bloggers below. The positive news on Indian Grand Prix, sponsors and ticketing! 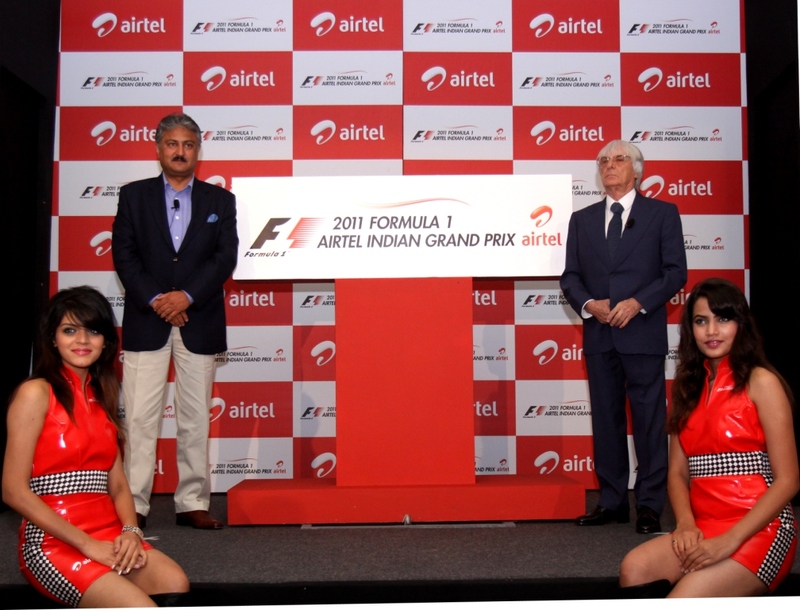 Finaly some good news from the world of Formula 1 racing, Bharti Airtel on Thursday announced that it will be the title sponsor for the first Formula One sporting event in India on October 30. This title sponsorship is going to be big booster for Bharti Airtel amid its declining subscribers in India. Probably there acquisition of Zain Telecom will get a boost because of this brand building, along with it Airtel will have there reach spread across West Asia, Europe. In another exciting news, tickets for the event are available on Bookmyshow . Looking at the price of tickets, it clearly signifies of being an elite sports, ticket starts from 35,000, cheapest being of 2,500. Not sure if the popularity of the game would increase in India, the section which will buy tickets already has good exposure on Formula 1. In my previous posts, I had raised the concerns of official site still indicating the event to be tentative but it has changed now, official Formula 1 website has also removed the * sign, let the game begin! We aren’t surprised with these changes, at least in India we are used to these last minute changes. Fortunately the reason is not Indian system but to accommodate Bahrain Grand Prix. Formula 1 chiefs are considering a move to make the Indian Grand Prix the season finale on December 4, AUTOSPORT has learned, as a way of slotting the Bahrain GP back on the calendar. As discussions continue between Bernie Ecclestone, the FIA and Bahrain officials about the race returning to the schedule, high level sources have revealed that Indian officials have been asked to look at a race date change to help accommodate the Sakhir event. As per the organizers, the The capacity of the purpose-built venue is around 110,000 and price is moderate. If I get correctly, its going to be 2500/- for three days and tickets would be available on bookmyshow. The website does talks about booking of tickets but only gives you an option to fill a form, when its available you will be notified. Couple of weeks back organizers did announce the name of circuit and unveiled the logo, that gives us a hope. Its WIP and it has not stopped. What a day it was, simply unforgettable and to be cherished for coming months until the arch rivals meet again. It not be considered as one of the greatest match in history but it was nothing short of it. Such was the euphoria, almost 80% of Indian across world were watching the match live. 80% India across means 1 Billion Indians, ICC and ESPN laughing to the banks! I was disappointed to be in office in this historic day but I was wrong, probably it was more fun at office then at home. It was not a regular day, it was a special day at work. India Formula 1 Grand Prix,where are we ? Last month we took a quick drive to Jaypee Sports City in my own Ferrari and too our surprise we had access to everything there. Yes literally no one stopped us from taking ride through the entire F1 circuit area (not the actual track) and beyond, construction was in full swing and we could see significant development. Th entire sports city is huge, and I am sure when its developed it would be one of the best in world. 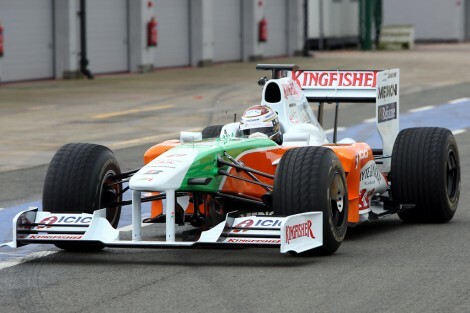 Details on India Formula 1 Race and good to know information. For the first time ever, India will host its very own Grand Prix on 30th October, 2011, marking its entry into the world’s most renowned motorsports. 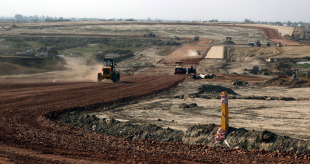 There had been plans to host an Indian Grand Prix as early as 1997. My craze for sports is not hidden from any one, but what you dont is know is the effort I put in show off this craze. Yes I am looking for attention but in this personal attention, sports is also getting an attention. My WC’11 preparation started couple of months ago, I know had to act fast or may be just desperate to act fast. Ticket was booked from Kyazoonga (its different story that i hate Kyazoonga) in Dec’10 and plans were already put in place for other activities. Tomorrow is THE day and I am going to witness god!! !